How is my B12 website optimized for SEO? 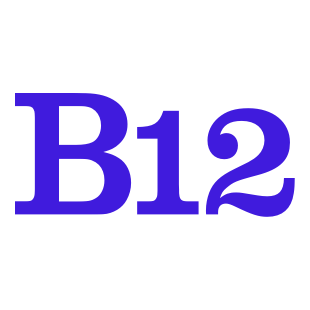 B12 ensures that your website metadata, which appears on search engine result pages, appears correctly. It does this by supporting site-wide and page-specific titles and meta descriptions (the descriptive text below the title). The B12 Design Suite facilitates other SEO best practices, such as adding alt text to imagery and editing the content of heading tags. Search engines also increasingly consider additional features such as mobile responsivity and page load time when ranking your website for mobile searches. B12 websites are properly tuned for these features. All B12 websites are mobile/tablet/laptop/desktop responsive by default. Our website infrastructure automatically optimizes the page load and rendering speed of B12 websites, and your website is served through a content distribution network (CDN) to ensure low-latency retrieval. As a result, your B12 website is also well-tuned for mobile SEO ranking! While B12 supports the basic SEO needs of your website, achieving excellent search engine rankings requires active investment and iteration. Through B12 Recommendations, we offer active monthly SEO services for an additional fee.